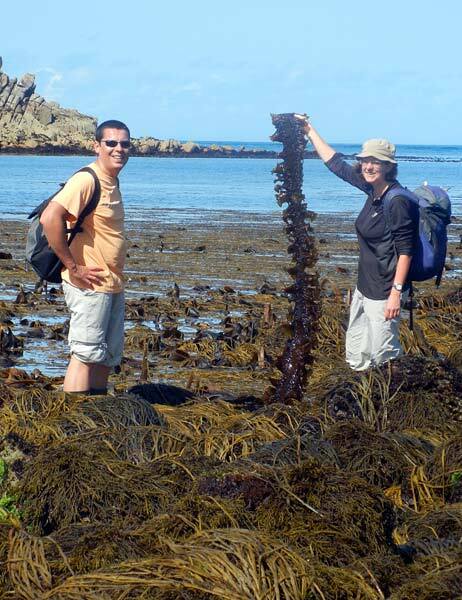 GA: Can you tell me about your fieldwork methods when collecting seaweeds? JW: When searching the intertidal zone, we aim to spot all distinct species and collect samples where necessary for identification/voucher preservation. It is important to get an eye in for spotting seaweeds that look different, which probably are (but not necessarily) different species. Observation is the key to finding and recording species diversity. Photos of species in situ and the general habitat are very useful as are notes on observations in the field etc. GA: What do you do with the specimen after it has been collected? JW: We Identify the samples. We tend to take a microscope and ID book to the field station with us if possible, and work on identifications in the evening before pressing the specimens. 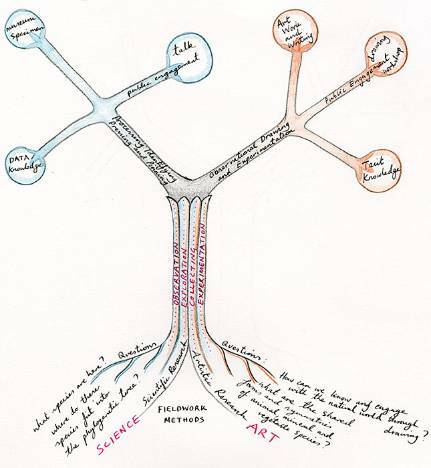 GA: Can drawing help to tune the scientist’s observation, benefiting their scientific fieldwork? JW: Observation is critical in fieldwork as you are trying to visually pick out the species diversity of the group you are looking for against a lot of background ‘noise’. This is where drawing is very helpful and delineation can show important morphology and omit surrounding details. We never have much time as we also have to press the specimens/change wet drying papers etc. So there is no time to do drawings or extensive notes. During the trip, the field methods of exploring, observing and collecting were shared by the artist and the scientist. It is the motivations, selection criteria and outcomes of the fieldwork that differentiate what we do. Diagram showing where artistic and scientific fieldwork methods converge and diverge. As an artist, I identify the morphological subset of forms within the specimen and then re-order and re-classify the specimen through drawing methods. I spend time with the specimen in it’s three-dimensional form, observing and drawing, building on my previous drawing and observational practice. The scientists take lots of photos of the specimen and then process it for the Museum collections, pressing plants into two dimensional forms and pinning insect material. Although observation is still important in many scientific practices, the motivation behind observation in fieldwork is to identify the specimen (to name) and observational drawing is rarely prioritised in contemporary practice. I do not want to name the specimen, but to creatively explore it’s morphology through drawing methods in order to expand what and how I can know about the object. 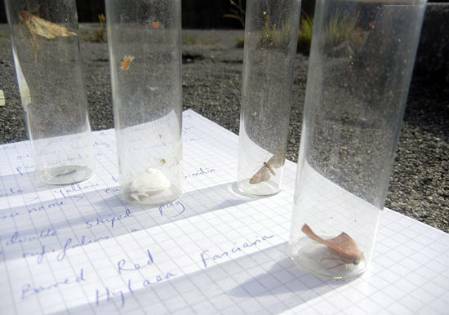 The collected fieldwork specimens are immediately pressed; their three-dimensional form squeezed into two dimensions before anyone - scientist or artist - has observed them in detail. It becomes clear that there is no time on fieldwork for the scientists to draw the collected specimens, or even for an artist to draw them! 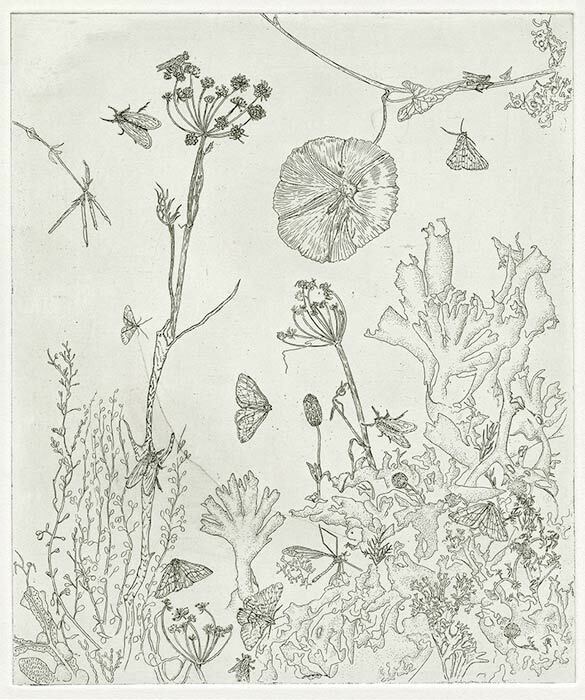 But I am still determined to draw what the scientists have collected, and I decide to ask if I can draw the specimens that will not be taken back to the Museum - ‘the collected, uncollected’. These specimens, which have been brought together by the scientists, create a very unusual species combination at the field station. They are superfluous to the needs of this field trip, and would otherwise be thrown away as rubbish, so drawing them transforms them into a different material, it is a nice form of recycling! Drawing leftover specimens: the etching process. I draw the specimens together to create a micro environment, where the work of the scientists and the artist combine. As an artist I am interested in how these specimens, which have been valued and subsequently devalued, can be re-valued and re-known through drawing practice; a practice which scientists are valuing less and less in contemporary scientific work. A scan of the finished etching: 'Collected, uncollected'. I have explored these ideas further in my recent research paper ‘Endangered: A study of the declining practice of morphological drawing in zoological taxonomy’ (Published by Leonardo Journal, MIT Press 2013). I focus on the established drawing practice of three zoologists at the Natural History Museum in relation to my own drawing practice, adapted to the camera lucida device. 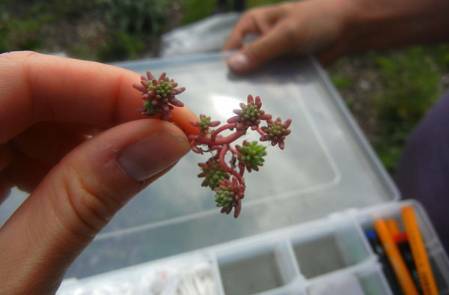 Posted on behalf of Gemma Anderson, an artist and PhD researcher who accompanied Musuem scientists on a field work trip to the Isles of Scilly between 17 and 23 August 2013. At the field station on St. Mary’s I find Martin Honey, an entomologist who works on lepidoptera. 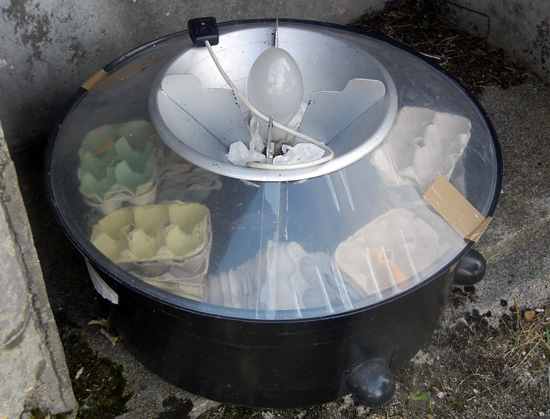 He shows me his moth trap, which is a circular vessel filled with empty egg cartons with a glass lid and a large light bulb in the middle (in other words, it looks a bit like a big rice cooker with a light bulb sticking out of the top!). Martin's moth trap in a shady area at the field station. Awaiting winged nighttime visitors. Martin tells me that when he switches on the bulb - which is mainly ultraviolet light - at night, the moths are attracted and once inside, they can rest on the egg cartons until he collects them in the morning. Martin keeps the trap in shady places so that the moths don’t get too hot in the sunlight. He shows me a few specimens that are inside and says he has just freed quite a lot so if I come back tomorrow he will keep some for me to draw. In the field work room we find Martin's microscope and a few dozen moth specimens. He tells me that the wings are set by hand, and proceeds to show me how this is done. He carefully takes a moth specimen with forceps and places it under the microscope alongside some pins, which are so small they are almost invisible! Moth specimens and pins at the microscope, ready for setting. 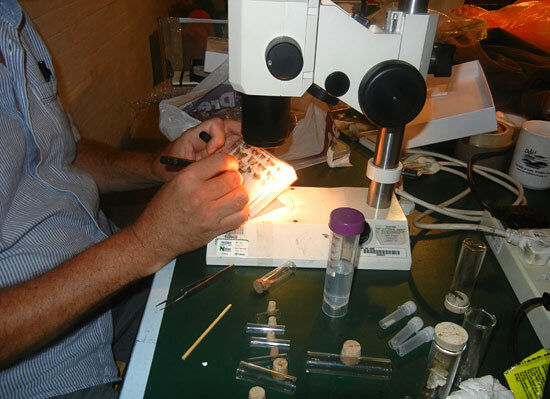 Martin looks down the microscope, controls the instrumental pins with forceps and begins to slowly open the wings… he arranges the legs at 45 degrees and makes sure the antennae are forward, then slowing impresses the pins into the foam to hold the posture that he has now created for the moth specimen. He makes it look effortless and I am inspired, it is really quite an artful practice. GA: Are all entomologists at the NHM expected to do this in their job description? MH: Some people just cannot do this, it requires too much dexterity. GA: So some scientists can do it, but are people employed just to do the setting, and in the past, has the NHM employed setting staff? MH: Yes - there used to be a special room called the setting room in the NHM, and specially trained people just did that work. Now there are specialist setters in Prague, they are not scientists but mostly amateur entomologists. I may send the larger specimens there depending on their number and I might do some setting work when I retire, and challenge the Prague group! Martin gives me four live moth specimens found on St.Mary's. I will draw them and let them go afterwards. Today I am observing the fieldwork methods of Museum scientists Jo Wilbraham (algae, including seaweed) and Mary Spencer Jones (bryozoans). We depart on the boat from St.Mary's to St. Agnes at 10.15am in calm waters, under clear blue skies. 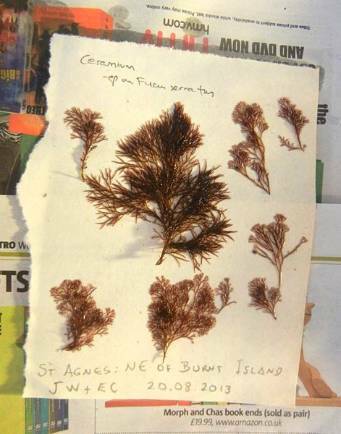 St. Agnes is a beautiful island, with many interesting locations to collect specimens. We arrive at low tide, which is ideal for finding a diverse range of seaweed and bryozoan specimens. Jo chooses a beach 10 minutes walk east of the quay, where it is possible to wade far out. It takes a while, and some skilled rock climbing to reach where we are going but once we arrive at the tidal interface the diverse range of species is quickly apparent. We see a wide range of seaweeds, sea anemones and polychetes patiently waiting for the tide to come back in and relieve them from the stress of exposure to the mid-day August sunshine. 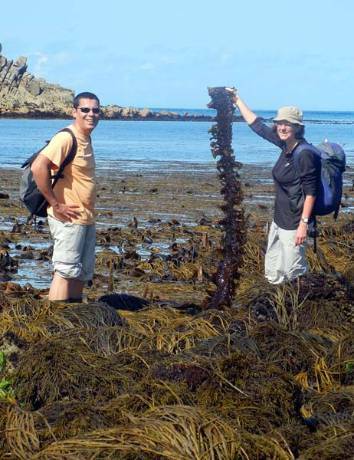 Jo Wilbraham examines seaweeds great and small at the beach on St. Agnes. Jo seems quite happy with the spot and comments on the range of species whilst pulling collecting bags and knife out of her pocket and rucksack to begin collecting, making the most of the low tide. The method of exploring and collecting are surprisingly similar to the methods that I use when working in the landscape or on a residency, although the selection criteria and motivation differ considerably. Some of the specimens collected are Furcellaria, Bifurcaria bifurcata and Palmaria palmata. By this point my walking shoes have flooded after being submerged in shin deep seawater and I am inspired to draw some of the collected species on dry land. I am also preparing for the drawing workshop of creative morphology (a method inspired by Goethe’s ‘Delicate Empiricism’) at Phoenix art studios in the evening. 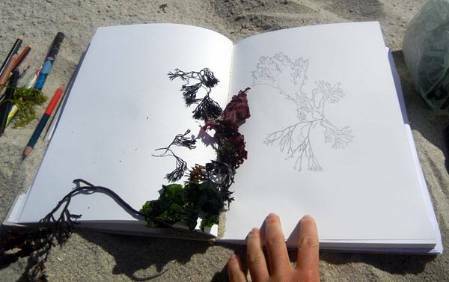 Drying out my feet and drawing seaweed specimens on the beach. The free drawing workshop is fully booked, and attendees will be almost exactly half Museum scientists and half St.Marys residents or visitors. Due to the demands of fieldwork some of the Museum scientists are late, which means they have a bit of catching up to do. The workshop builds up observational drawing techniques that prepare the individual for a creative exploration of the morphology of the specimen. The group produce some very interesting drawings and discussions. One scientist remarks that they did not expect drawing to have method, rather that it was something they associated with scientific work. This point was important as it helped the scientist to acknowledge artistic research and methodology. Another scientist remarks that drawing helped them to identify important characters of the specimen, and to engage with it. This was helpful as it led to a discussion of the values of drawing and photography/SEM technologies in scientific work. We end the workshop by considering the relationship between the practice of creative morphology and creative evolutionary processes. Specimens collected at the beach on St. Agnes are arranged on a herbarium sheet, ready for entering the Museum's collections. GA: Do you feel the method helped you to 'know' or think about the specimen in a new or different way? If so, could you try to describe this difference? JP: Yes the method did make me think a lot more about the specimen. It made it far more memorable structurally. There are parts that I would never have thought of analysing so much that I now know exist, which is great because I would feel far more confident in identifying the specimen if I came across it in future. GA: Do you feel that the method helped you to deepen your engagement with the specimen? JP: I think I did engage a lot with the specimen, however I feel I get a similar experience when identifying flies under the microscope as the keys we have to follow go into details as little as the length and direction of the little hairs on their body. GA: Do you think this method could be useful in your scientific or artistic work? If so, how? JP: I would find this method useful in a scientific environment as it would really make me remember any specimen I came across. Especially by pulling the specimen apart, figuring out all the bits that put it together. After the drawing workshop I visit the Museum field station at the Garrison, St.Mary’s, where I find Jo sorting through the day's collections, soaking and pressing before carefully arranging on a herbarium sheet. The sun is setting, the team is tired and tomorrow awaits...the marvellous world of insects! 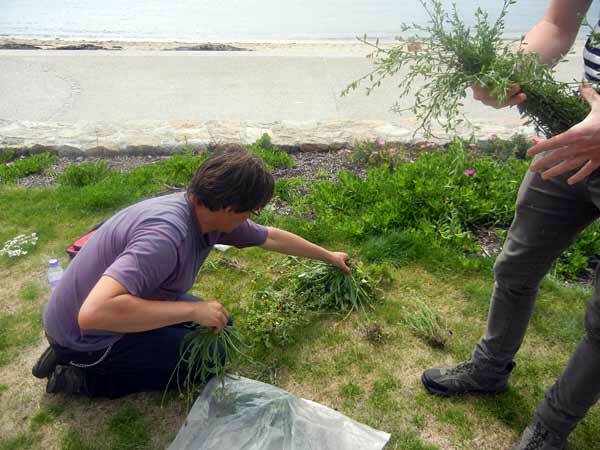 At 10am I find Mark Spencer and Jacek Wajer on St. Mary's south beach identifying a plant specimen with a field guide. The Isles of Scilly are the northernmost habitat for a number of plant species, including aeoniums, which originate from the Canary Islands and were introduced in the 1850’s as a garden plant. But it is not the garden plants that Mark and Jacek are interested in, it is the weeds. While we root around in flower beds by the south beach, local authorities jokingly suggest that they could do with a bit of weeding. "Save us some effort!" they say. Mark tells them about the Museum's work and assures them that we will indeed be helping remove some of the unwanted plants. The three of us continue to nosy around in the flower beds. By the south beach on St. Mary's, Mark Spencer approaches weeding with more enthusiasm than most. We find lots of interesting weeds and some fungi, and I find a small succulent weed which Mark says may never have been recorded at St. Mary's before. 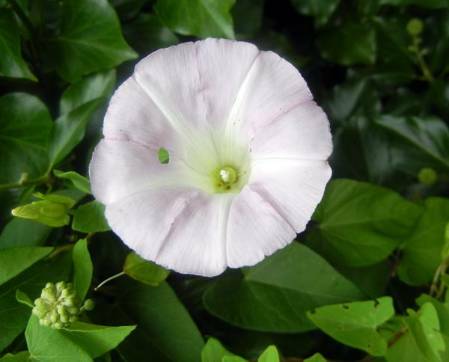 The specimens we select show a good representation of the whole plant in maturity; flower, leaf, all salient features that are necessary to qualify for the herbarium. The morning’s collections are then bagged and tagged, each labelled with who collected it, the location, the date and the species. It may take up to six months for the specimens to be dried, prepared and mounted on a herbarium sheet, at which point they finally become part of the Museum’s collections. Unidentified succulent weed found by Gemma Anderson in a flower bed near St. Mary's beach. A possible first record of this species for the area. We then carry the bagged plants back to base for sorting. Delicate specimens are prioritised, and the specimens are left to wilt overnight in a flower press until herbarium paper is brought on Monday. 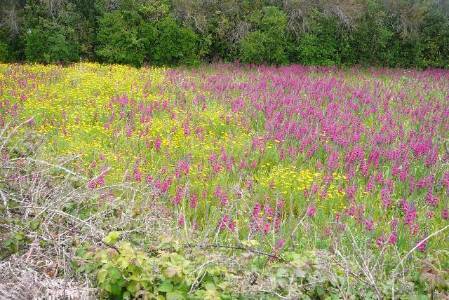 At 4pm we leave the base and walk to the east of St. Mary's, plant spotting in hedges along the way. Jacek spots another possible new plant record for the Isles of Scilly, and we immediately press the specimen in my sketchbook before continuing along footpaths, small lanes, fields and coastal paths. We finally come to gorse land in wave formations, a micro landscape which Mark tells us is an endangered environment. There is an unusual mix of white and purple heather and a folkloric atmosphere as a rainbow emerges overhead. 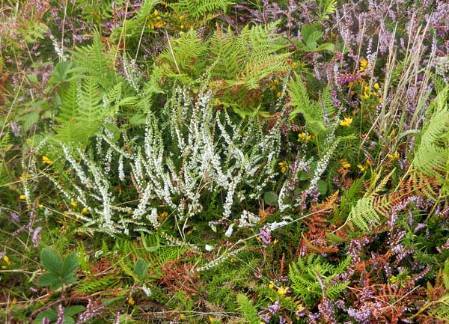 An unusual mix of white and purple heather on the Heathland, St.Marys. I ask Mark if the walk is part of his method: to orientate, to locate, and to formulate ideas and questions. He replies ‘yes, very much so’. I had taken an observational walk the evening before for the very same reasons; as artist and scientist, this method is essential to the beginning of our fieldwork. It is wet and windy and the rain soaks the decks of the Scillonian 3 as it departs Penzance for St. Mary’s. After a bumpy ride with many tales of seasickness, we arrive into a foggy and rainy St. Mary’s to begin the Museum’s August fieldwork trip. We are assured that the weather will get better tomorrow! Artist on a scientific fieldwork trip? Artists and scientists are interested in how Earth has been shaped by the forces of nature, and my research addresses how we engage with and observe the natural world. I am here to observe the scientists’ field methods, and to explore possible ways of constructing records across scientific disciplines. The ‘field’ can be anywhere, it has no geographical or physical bounds; it is defined by those who go there to investigate, study or commune with nature. In this case the field is the islands of St. Marys and St. Agnes, and the people are botanists, entomologists and an artist. 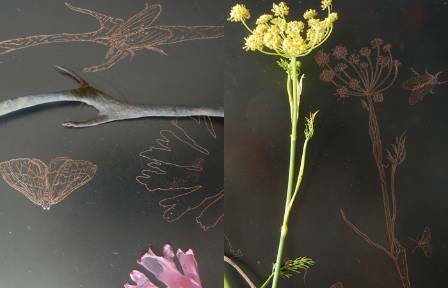 Careful observation and recording of flora and fauna are important skills for both artists and scientists studying the natural world. The traditions of recording: enquiry, careful observation, patience and arduous experimentation, perseverance in the face of monsoons and parasites (or massive arts cuts!) are shared by artists and scientists. Fieldwork mixes scientific pursuits with exposure to new terrain, languages and peoples and has an inseparable aspect of adventure, from which a narrative of the field has also emerged. I have previously participated in this narrative as artist-in-residence in the Galapagos Islands, Poustinia Jungle Park (Belize) and rural Japan, where I practiced the field methods of exploration, collection, observation and recording, although the selection criteria and motivations differ considerably to those of the scientists. Although the focus of my artwork is the morphology of species in the specific location, my approach to the ‘field’ equally values observing and interacting with the people, so culture is just as important. My artistic practice is also a part of this narrative and asks questions about natural form and morphology. Isomorphology is the study of the shared forms of animal, mineral and vegetable species through drawing practice. As part of this research I have been working with Natural History Museum scientists and collections since 2005. Fieldwork is important because of the immeasurable diversity of life, but also because of the human experiences that inevitably arise through study, adventure, and sightings that take place in the field. Record-keeping and field notes exist as a critical component of the study and experience of the field. I will be emphasizing the role of drawing within these practices, both as a way of recording memories and as a way of experiencing the natural world. The act of drawing can heighten our awareness and sensitivity to the natural environment, changing the way that we see and feel the world around us. Seeing the natural wealth in our environment and our relation to it, can enrich the quality of our lives. Posted on behalf of Gemma Anderson. Day 10 was our last full day on the Isles of Scilly; the weather was glorious and everyone took the chance to finish off any things that needed to be collected. 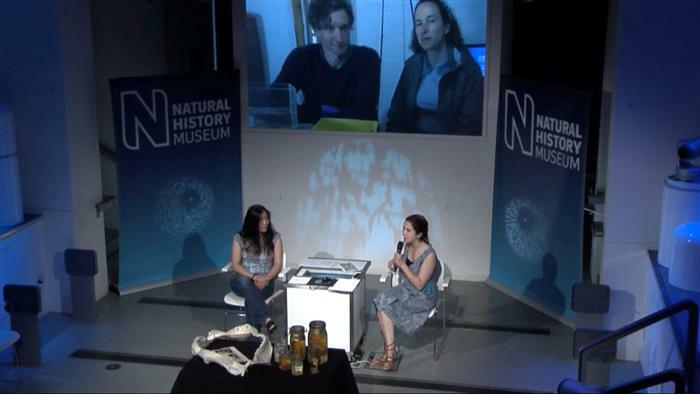 Over the past few days Nature Live host Ana Rita has been linking live to the Museum from the top of the bunker and today was our final event. With all of our responsibilities taken care of we could think about the past two weeks on the islands and how the trip has gone. I have loved being on the Isles of Scilly, we have been welcomed warmly by everyone we’ve encountered and, walking around the islands, the scenery is spectacular and the ocean an amazing mix of colours. We have eaten like kings, Vanessa being the chief chef, and I think every meal has included something foraged (usually by Mark), even if it is simply the humble, ubiquitous three-cornered leek. Grows everywhere and gives a garlicky kick to anything you add it to! It has been such an enjoyable trip as well as an educational one. Finally, I would like to thank Mark Spencer for organising the trip and getting us all to the islands. Mark has been an excellent guide, fantastic company and reliable provider of foraged ingredients, and a brilliant team leader. Spending time with Mark and the other scientists is an education in the natural world, it opens up and changes your view of what is living on the planet and I feel very fortunate to work at such an extraordinary place as the Natural History Museum. Our last day in the field arrived sunny and, with it, our last live-link to a Nature Live event in the Attenborough Studio. Mark Spencer, curator of botany and team leader of this field trip told us about why the Isles of Scilly are special for wildlife and why he wanted to bring curators of other specialities here to collect and enhance the Museum's collections. Of course, we also talked about very small flowers, the elm trees, and ate the three corned garlic live - all things that our readers might recognise by now. Scilly is also famous for farmed and wild flowers, Mark told us about both, and how the bulb farms are important not only to local people but also to other organisms. Wildlife thrives in these fields, and of course, our scientists have been collecting there, everything from insects to slugs. As usual, we had an audience with us in Scilly, including a blub farmer. It was a pleasure to share our excitement at seeing the material collected already. They left us with a wave and a smile, looking forward to meeting the next scientists visiting the islands later on this year. With the weather still glorious on Sunday I was very happy to hear that Mark had arranged a trip to the island of Bryher, north west of St Mary's. The habitat here was a lot more sandy and less rocky than previous sites and also there were beds of sea-grass which provide an excellent nursery ground for young fishes. With the seine net we soon managed to get some nice specimens; a 15-spined stickleback (a marine relative of the 3-spined variety often found in freshwater), some sandeels, some baby plaice and a female dragonet. This last specimen was beautifully camouflaged and we were lucky to spot it. After we had denuded the sea-grass of its inhabitants we transferred our attentions to some of the large stones amongst the seaweed. Lifting a few of these uncovered a wealth of invertebrates, including the most furious crab I've yet seen. As soon its rock was raised it scuttled forth with claws snapping and, although I have seen a lot of crabs come and go, this particular one really spooked me. Thankfully we managed to get some nice fish specimens too, including our first rockling and some butterfish. The following day Andreia Salvador and I stayed on St Mary's and went to the town beach near Hugh Town to look for molluscs, fishes and anything else interesting. As always, the first fish I found was a shanny but with a bit more effort a few nice rock gobies were captured. After some more boulder hefting I found another fish that at first sight I thought was just another shanny but turned out to be the much more elusive Montagu's blenny. These can be distinguished from the shanny by the small bristles on the top of the head, which shannies don't have. On our final day of collecting, we went to Porth Wreck and back to Porth Hellick on the south-east of St Mary's. Porth Wreck was fairly barren apart from a decent sized rockling and a clingfish but Porth Hellick was much more productive. Using the seine net with deadly effect we got sand gobies, two-spot gobies, baby pollock and a big sandeel. Previously sandeels never really meant that much to me other than as fishing bait and something that puffins like to eat but I have a whole new respect for them now. Firstly, they are beautiful to look at, a dark blue top blending into iridescent green and shining silvery flanks, but also extremely tenacious. Our specimen took a long time to capture as every time we had it cornered it would burrow down into the sand and we would have to dig it up and go after it again. Of all the fish I collected this trip, apart from maybe the wrasse, this was the one I felt saddest about consigning to the collecting pot. The photograph below doesn't begin to do it justice. And a couple of non-fish pictures to finish on. Maybe I really am getting too sentimental but I found the parental care shown by this centipede (I think) rather touching. We found it while helping my friend and colleague Jonathan Ablett look for snails. So that's about it from me, it's been a pleasure and a privilege to take part in this field trip and have seen so many amazing things, not all of which were fish. If anything interesting turns up when I go through all the specimens back in London I'll let you know. Day 9, part II - Lichen? You’ll love them! On day 9 the sun was out, but it was complemented with rain showers and a strong wind, which meant the satellite link for Nature Live was indoors. Still, a great opportunity to show the table where we sort specimens in the evening, and to have a sneaky peak at what everyone has been finding. 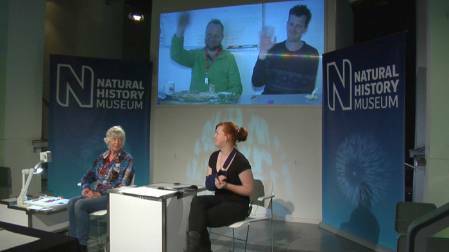 In the Attenborough Studio we had Pat Wolseley, hosted by Aoife Glass, and here in Scilly, my colleague Tom Simpson was joined by curator of Lichens, Holger Thues. Holger’s smile and enthusiasm really shows how well this field work trip is going in terms of lichen collection. It’s the job of a curator not only to take care of the existing collections and provide access to researchers from around the world that want to use it, but also to enrich it and make sure any gaps in the knowledge are fully filled. Locals have been coming to our base, the Woolpack, to watch the Nature Live events and to have a cup of tea with the scientists. It’s an opportunity to show what we have been collecting, why we are here and to engage them with the amazing diversity of their own islands, what it means for science and what it can mean for them. After the wash out that was yesterday’s bad weather, today the scientists have been returning with amazing finds left, right and centre. Mark and Rosemary found this Linum bienne, described scientifically by Mark, as a stonker! It is probably the ancestor of the domesticated flax and today he rediscovered a wild population of it on St Mary’s. It is known historically but has not been seen recently and was feared extinct on the islands. It is also exceptionally pretty. Rosemary Parslow (literally) wrote the book on The Natural History of the Isles of Scilly and she has been a great asset to the project. She has spent years studying practically every aspect of the nature on the islands and she also used to work at the Museum. James came back from the beach with a brilliant find. Sea spiders (pycnogonids) are in an order of their own, they are remarkable and weird and unlike anything else in the sea. Ana Rita made a welcome discovery on top of our bunker, a flush of St George’s Mushrooms. After a positive identification by mycology expert Mark (on top of being potentially fatal, it would be very embarrassing to poison Museum staff with mushrooms) these gorgeous fungi were turned into a spanish omelet. Delicious. I am very happy to reveal that I have now finally had success with obtaining some decent specimens. Over the past three days myself and various assistants have used a variety of methods (seine nets, fishing rods, hands) on three different islands (St Mary's, St Agnes and Bryher) and have collected at least 16 different species of fish. It's hard to say for for sure exactly how many until I can get back to the Museum and look at some of them under a microscope. Most of them are on the list of fishes I made before I left but there are a few which will be new records for our collection from this locality. It's been a great pleasure to meet naturalist and local legend Rosemary Parslow, who collected most of our Scillonian fish specimens back in the 1970s and compare notes and get some advice about where to get certain species. On Friday, despite grim weather conditions, we headed down to Porth Hellick on the southern side of St Mary's. At this point all I had to show was one baby sandeel so my joy was unconfined when our first drag of the seine net through a large rock pool produced tens of little bodies flopping about. Most of these were sand gobies - some of the fattest I've ever seen - but there were also some juvenile flatfish. A few more drags produced some other species of goby and a very dark looking shanny. The best find of the day for me was a worm pipefish which I found underneath a rock. These are not very fast swimmers but are hard to spot as they look just like a bit of seaweed. A closer look at the specimen revealed something interesting, a cluster of orange eggs stuck to the belly of the fish indicating that this was a male specimen. Pipefishes are in the same family as seahorses (syngnathidae), and like them, the male takes care of the eggs after they have been laid by the female. I felt a bit guilty taking this specimen but I had never seen one like this before. I should point out that all the fish I collect are anaesthetised using clove oil before preservation so the process is as painless as possible (this also makes for nicer looking specimens). The following day the weather had improved vastly and we boarded a boat for St Agnes, the island to the south of St Mary's. Rosemary had recommended a particular bay called Porth Killier so we headed there full of optimism. Upon looking at it my heart fell slightly as the whole area was thickly blanketed in various kinds of seaweed - lots of places for fish to escape and tricky to use the seine. Nevertheless, Tom and I carefully ventured forth and after about half an hour of rummaging about in the kelp I found my first ever clingfish! Sadly this escaped a bit later due to an incident with the bucket and I did my best to be philosophical about this. We got some more pipefish and some rock gobies so all was not lost but then Tom developed some kind of clingfish sixth sense and within half an hour or so we had seven specimens of two different species (shore clingfish and small-headed clingfish). If there's one thing I have really got out of this trip it's a greater appreciation of other people's specialities. Suddenly I find myself looking at flies and plants and shellfish in a whole new way (one of the other nice results from our trip to St Agnes were the discoveries of blue-rayed limpets and spotted cowries in the kelp). But in particular crabs. Previously I thought there were shore crabs (the browny-green ones) and edible crabs (the pinky-purple ones) and that was probably about it, but my crab universe has now expanded exponentially. On St Agnes I found what I think were five or six different species, some of which were relatively benign when disturbed, some of which were furious. Every rock we turned over also revealed a wealth of fascinating creatures, and at times I almost forgot about fish. Returning home triumphant we decided to round off the day with a spot of fishing at Penninis Head. This was initially extremely successful and I caught a nice big ballan wrasse on a fishing rod that telescopes into something the size of a pen and Tom got a fine pollock. Although both of these are edible (although opinions vary about the wrasse) the national collection trumps our stomachs and they were placed in the freezer when we got back. I have never before seen the attractive blue inner lips of the ballan wrasse, another first for our trip. I'm afraid I have now run out of time and I think the limpet risotto is just about ready. More soon and I will leave you with this, one of the black rabbits - descended from escaped pets - that live just outside our bunker. It has been a great day for snails and slugs collecting - it's pouring with rain! 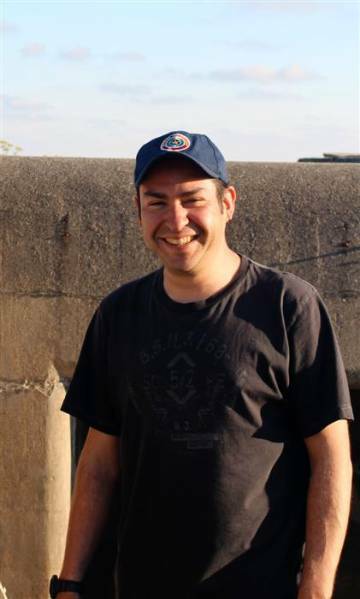 Jon Ablett, who did the previous Nature Live satellite link, is happy that the land snails will be out and about, making the most of the wet weather. For our event on day 8, we were joined by James Maclaine, curator of fish at the Museum, who showed some of the specimens he has found. James brought a list of the fish we already had in the Museum collection prior to the trip and is trying to match the species he finds on this trip to the ones on the list. It is important to collect at different times in the same location, to spot any changes. He's also blogging about his work on the trip and his first post is here. The visitors asked some great questions about the different habitats of fishes, how to catch them and the route James took to become a fish scientist. We have also been inviting people from the town to come and see what the Museum scientists have been doing here on the Isles of Scilly. Quite a few came to chat with James about the fish while receiving - and giving - good tips to each other about where to look for more species and how to catch them. It appears to be paying off for James as you will be able to read later today on the blog. I spent day 8 of our trip with Andreia Salvador, curator of marine molluscs, looking at some of the stunning creatures she has found here in Scilly. A curator’s job is to ‘future proof’ their collection; in the future, a specimen may be researched using techniques we don’t yet know of and Andreia is keen to perfect preservation methods that allow for as much of a mollusc to be accessible as possible. The molluscs known as gastropods, (things like top shells and winkles) have a trap door called an operculum which completely seals the animal inside. In the past, researchers who needed the soft parts of molluscs may have had to break the shell open, destroying the specimen. Andreia is keen to work out the best way to preserve both the shell and the soft parts intact. The process of encouraging the animal out of its shell is called relaxing. This may take anything up to 12 hours to do, but it is crucial in providing future researchers with the specimens they may need. We have found some exceptionally beautiful molluscs over the past few days. When I was out with James, we found these spotted cowries and blue-rayed limpets. The limpets in particular, were exciting for Andreia because, in her native Portugal, they are know as beijinho, a ‘little kiss’. We found them inside the kelp forests and they have absolutely stunning, electric colors. Although not rare, they provided quite a challenge to locate, as they lived in the 'hold fasts' at the base of the kelp. Who has a hat specifically for BBQ? Tony Vinhas! ... Tony put on his ‘BBQ hat’ and began to refer to himself, in the 3rd person, as the grillmaster. The grillmaster in the world's biggest barbecue pit - how long ‘til it’s ready? He expertly worked his way through various meats and veggie options and as the sun set behind us we enjoyed a lovely evening all together. This morning I followed Holger Thues (Curator of Lichens) to a remarkable place. At first glance this short row of trees looks little more than a typical, beautiful countryside scene. However, these are elm trees and trees like these are a sight that has become exceptionally rare across Europe. Dutch elm disease has destroyed virtually all of the adult elm population in lower land Britain and much of Europe, and now many people only know elms from paintings and pictures. The elm has an open canopy and the trees bend and twist in a magical way that leaves a wonderfully spooky shadow. The Isles of Scilly are one of the last places you can see adult elms - the tree still survives on the mainland as a shrub, but as soon as it gets to a certain size the beetle which transmits dutch elm disease, can burrow into the bark and pass on the infection. Of course, Dutch elm disease has effected much more than just the elms themselves. These trees supported other life, including lichens and Holger showed me one of the rarer lichens that live on elm. It isn't just the trees that are affected when they succumb to Dutch elm disease. Tragically, this lichen also lives on ash and with ash dieback destroying so many trees, it has a bleak future. Holger described it as the ‘dodo of the lichen world’, forced into making bad decisions that ultimately could be it’s downfall. More optimistically, Holger found a very healthy population of a species that has declined dramatically over the last 100 years in the rest of the UK. This is a tropical lichen that now has the south west of Cornwall as it’s most northerly outpost. It is very rare in the rest of Britain but it seems the population here is doing very well. Holger also showed me this photo of a specimen collected 100 years ago on Scilly - he was keen to find out if it was still here and if it was still so large! 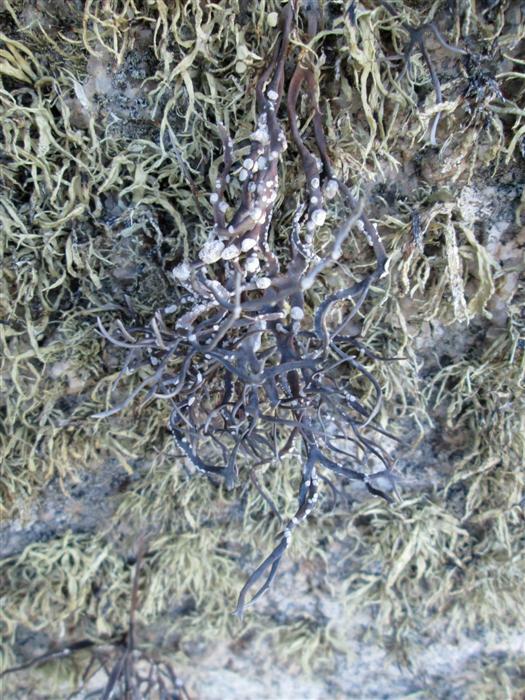 The size of the lichen is a sign of it’s vitality and it only occurs in a few local parts of the Uk and on Scilly. You can see it is still doing well on the islands. It goes to show how important collections are, specimens tell us so much much more than absence or presence. They tell us about the strength of a plant at a given time, what it looked like and how it was living and this means we can make judgments on it’s role in the ecosystem. It really is a treat spending time with Holger; as a lichenologist he looks at the world in a completely different way to other scientists and the things that normally pass unnoticed become much larger and more interesting. The table is turned into a mess of equipment, specimens and reference books and exciting finds are shared amongst the group. It’s not possible to know everything about the natural world but it is possible to try and become friends with enough experts to give you a good idea! By the way, if you would like to do some science of your own and help an important study, find out how to take part in the OPAL project's Tree Health Survey. 7.30 am and the beginning of another beautiful day. 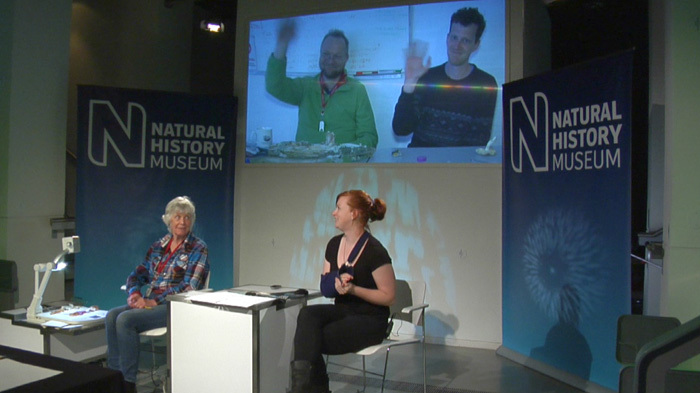 While most of the scientists were preparing for a collection trip to the nearby island of Bryher, the molluscs curators were preparing to talk live via satellite link with visitors attending one of our daily Nature Live events in the Museum's Attenborough Studio. Meet the scientists: Jon Ablett (left) feeling the heat and covered in sun screen, me - Ana Rita (middle) - shivering in the mild climate of the Isles of Scilly, and Andreia Salvador (right) feeling confident before her first ever Nature Live. Left: The garlic snail, which smells of garlic when disturbed. Right: The dinner table in the evening. We also talked about the joy of the evenings in our field work headquarters, with scientists sorting out their catches of the day and preserving the specimens for the collections. Every evening Jon Ablett needs to overcome the challenge of trying to make his snails and slugs crawl across a special paper designed to preserve DNA from their mucous. Jon also deep freezes part of his land molluscs in a container at -200 degC, which is not good fun on very cold evenings ... but the vapours coming out of the container look really cool! The visitors at the Attenborough Studio asked lots of interesting questions. From big, to slow and tasty slugs and snails and tips about what to look for in rock pools, to how to become a scientist and, finally, why and how collections at the Museum are used by researchers from all over the world - we hope that everyone has had a slugtastic and a shell of a good time!